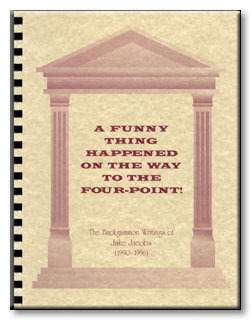 "This book is a collection of all the articles ever written by Jake about backgammon, published or otherwise. I have always liked Jake's style of writing because he is funny. Very funny.